Google Takes Over Times Square "For Everyone"
Google has taken over Time Square, or at least four screens on a marquee. As part of its “For Everyone” campaign that rolled out with the release of the Samsung Chromebook last month, the company has decided to help prove to people why it is so useful to everyone. If you didn’t notice, it’s quite alright, but Google published a new site called Gallery for Everyone to which anyone can upload an image and tell what they use the Chromebook for. Submitted entries include “For Movies“, “For Getting Lost“, “For Wisdom“, “For Moms“, and many others. For those who want to see their photos in Times Square in New York City, then you can do it right from the site. 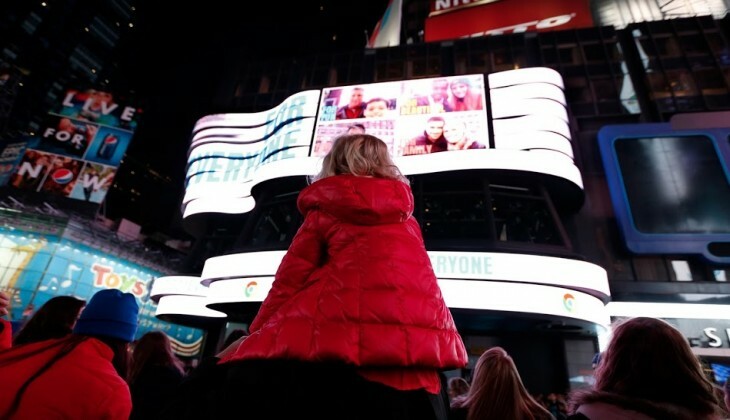 Google has a booth at the heart of Times Square right now where they check out their Chromebooks and upload your own photos — you might imagine them using the laptops as a makeshift photo booth. Anyone over the age of 13 can submit an image to the site. However, you might encounter some difficulties in uploading. Google says that submissions are limited to certain devices and browsers and recommends that you use a “modern browser like Chrome” (queue the eye-roll). 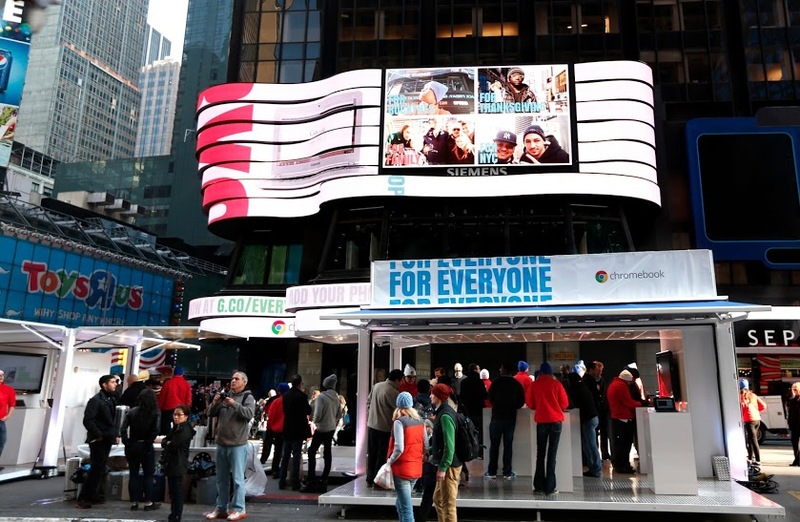 If you want to see where this whole campaign started, you can check out Google’s “For Everyone” video that went public during the Major League Baseball World Series last month.